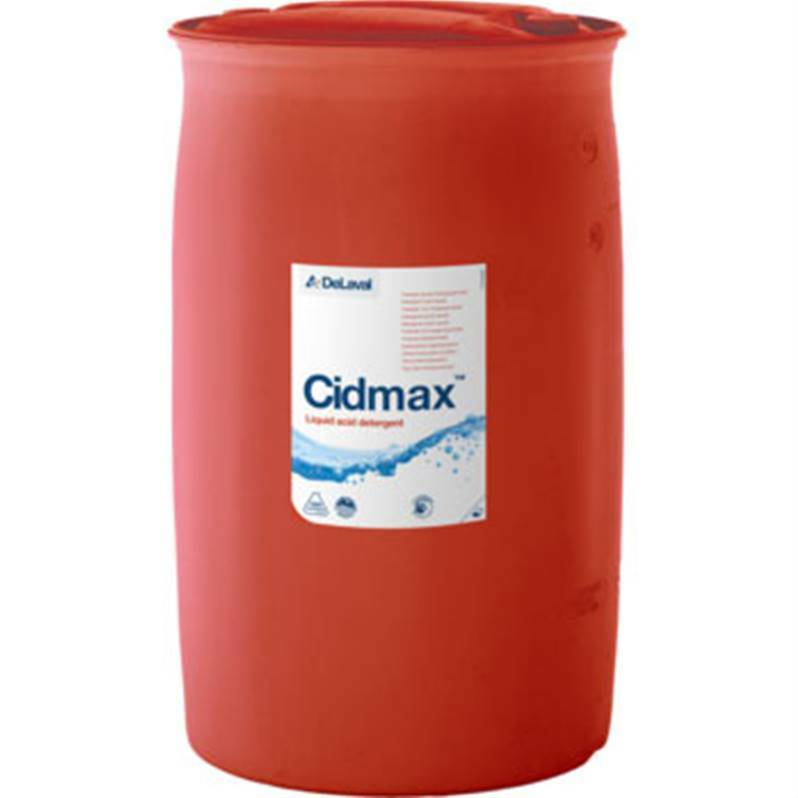 Cidmax is a highly concentrated acid descaler for milking installations and cooling tanks. It is ideal for use in alkaline-dominant cleaning routines and is effective in all water conditions. DeLaval Cidmax is suitable for automatic dosing systems and is recommended for automatic milking solutions. It is gentle on milking equipment, liners and other rubber parts. Cidmax has been developed, tested and manufactured in our DeLaval factories using the highest quality-control standards to ensure that you always get a solution with consistent product quality.